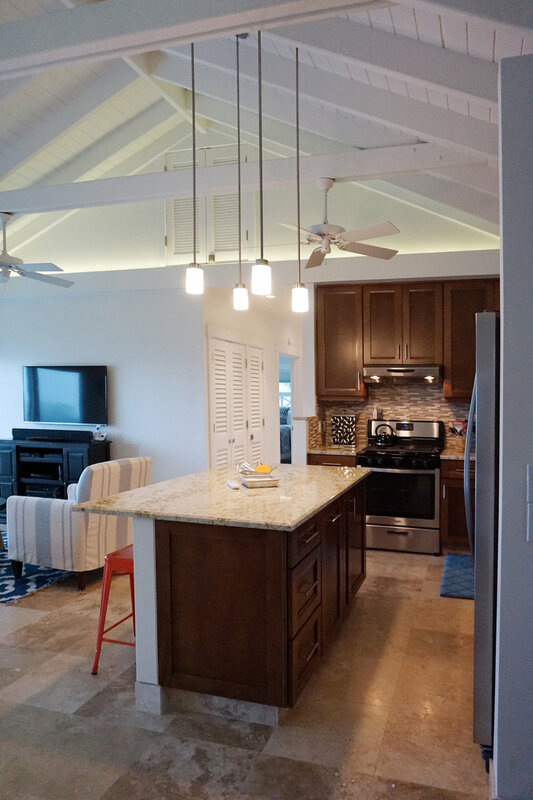 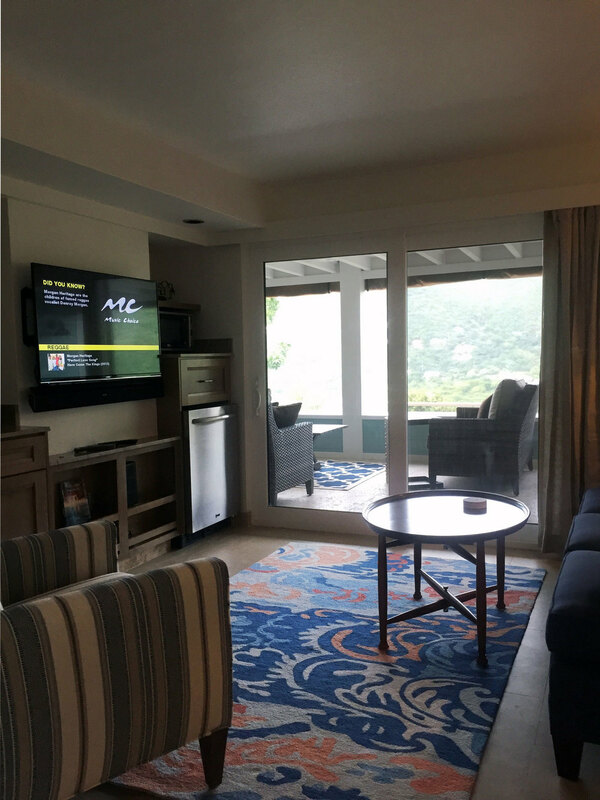 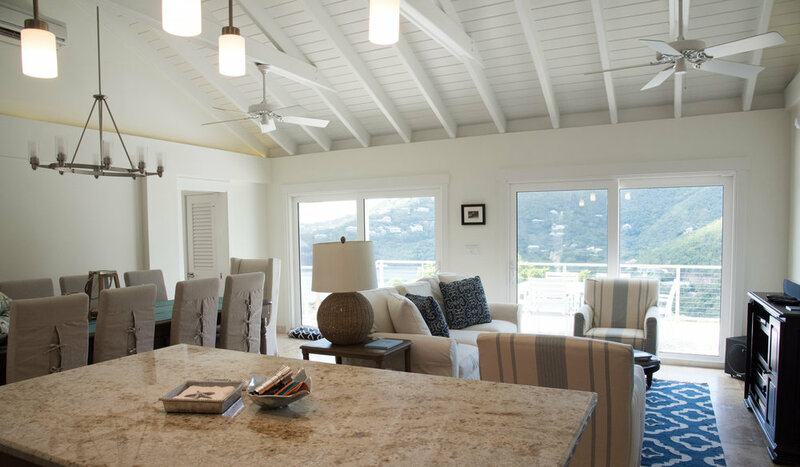 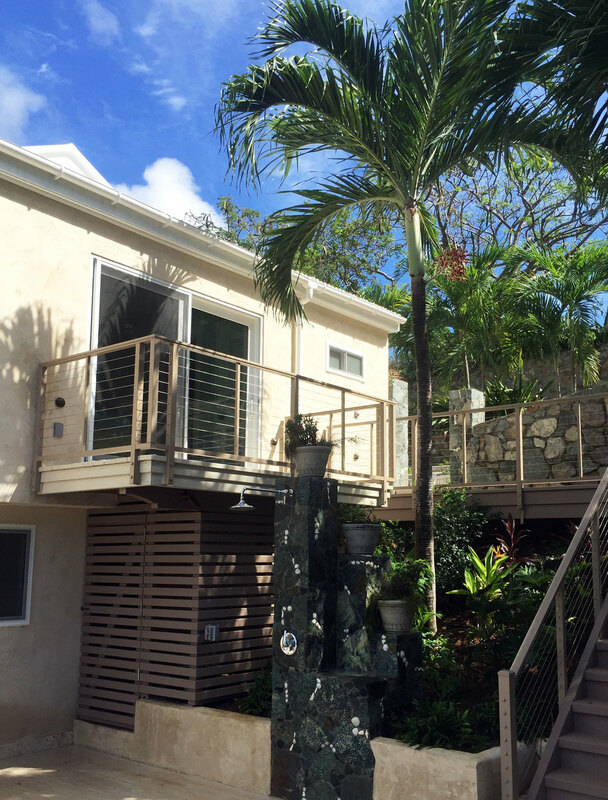 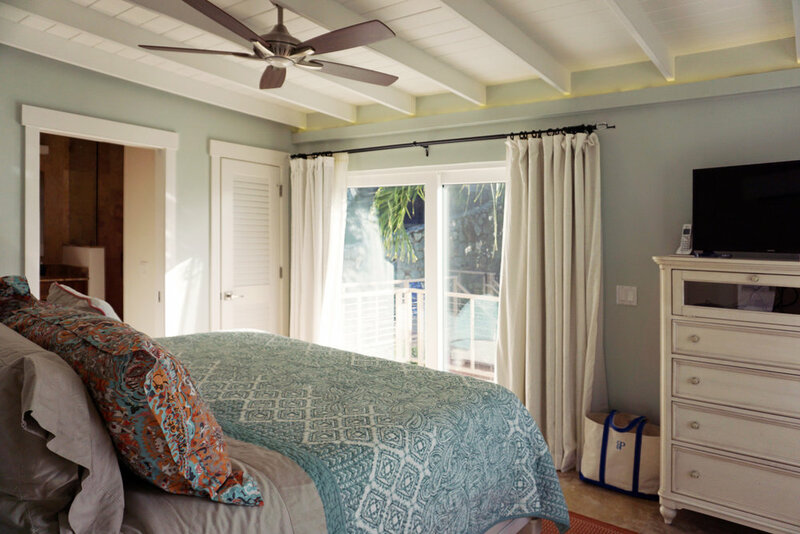 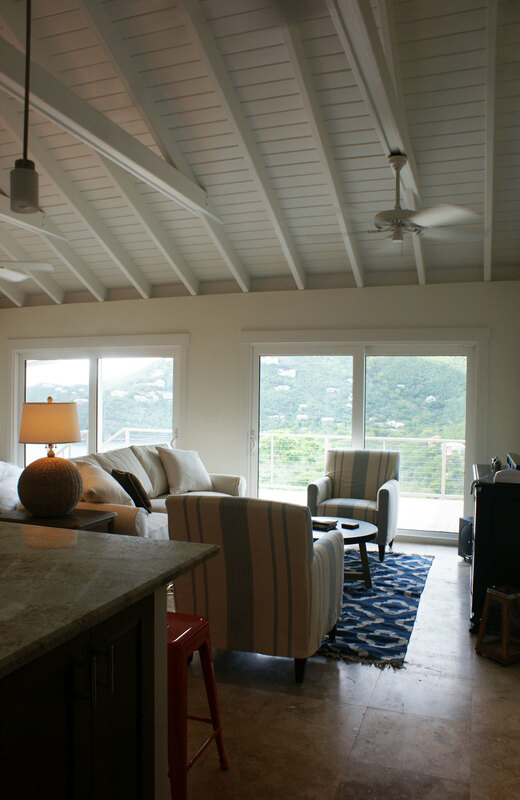 Elegant Caribbean comfort describes this newly renovated, beautifully appointed Villa on St. John, US Virgin Islands, overlooking the calming waters of Fish Bay. 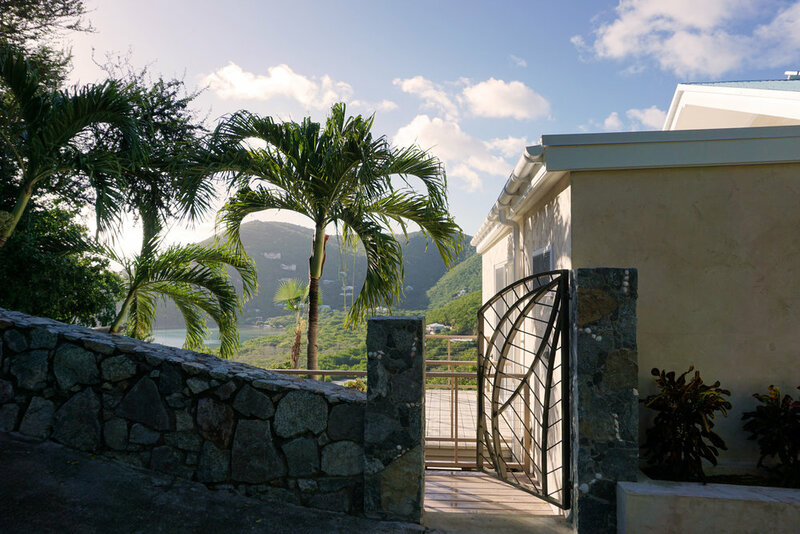 With 6 bedrooms and 5 bathrooms, this Villa is designed to comfortably accommodate large families, groups of friends, and small retreat groups, up to 12 guests. 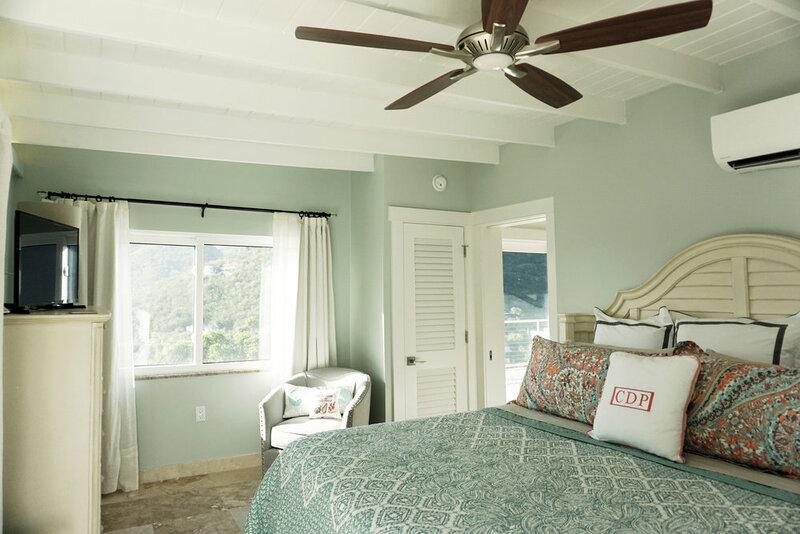 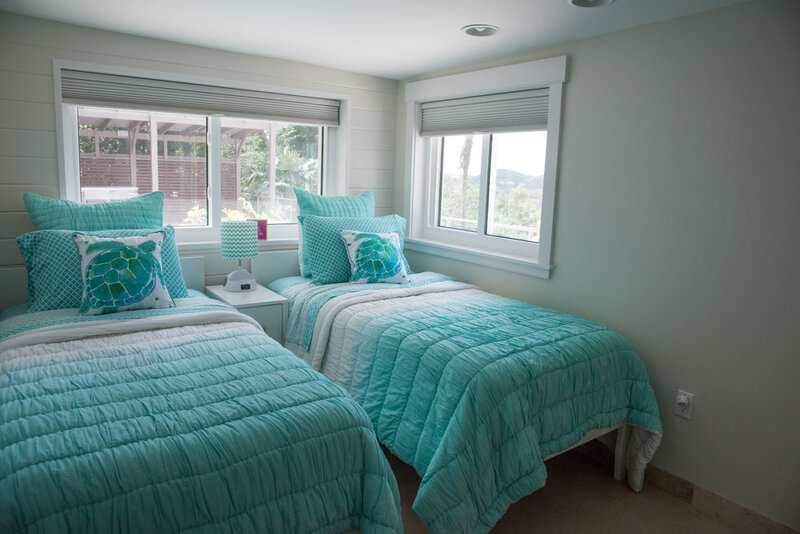 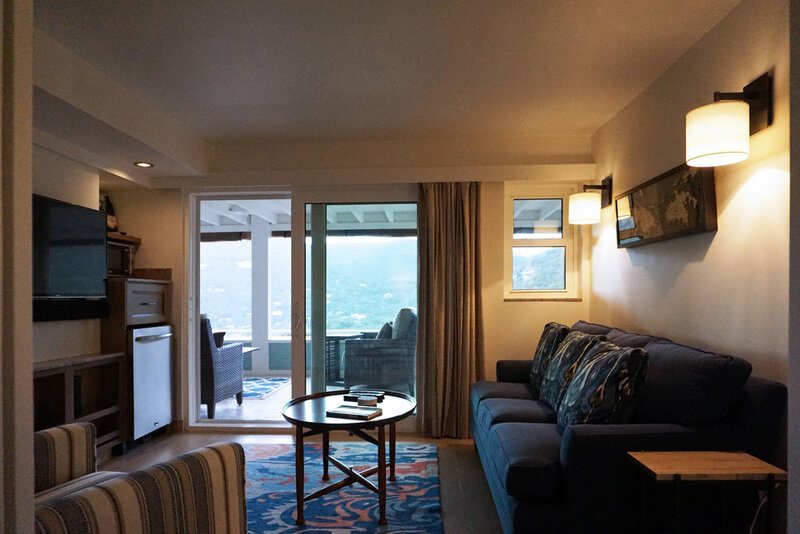 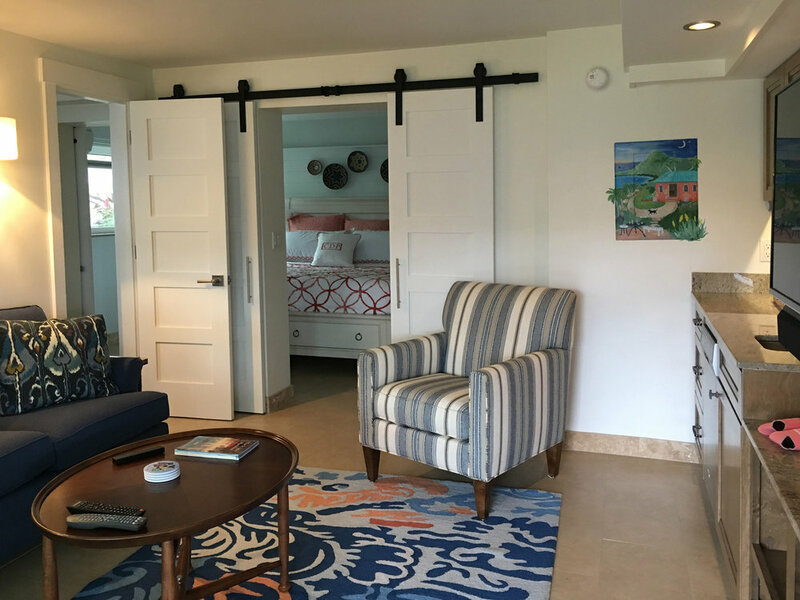 You will find privacy with individual suite style bedrooms as well as a variety of indoor and outdoor spaces to play games, gather for conversation, dine, lounge poolside, practice yoga, or tuck in alone to read a book. 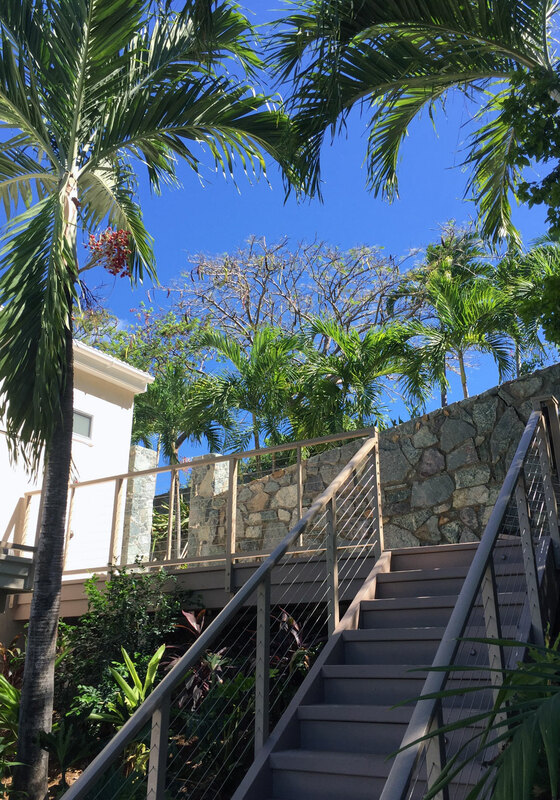 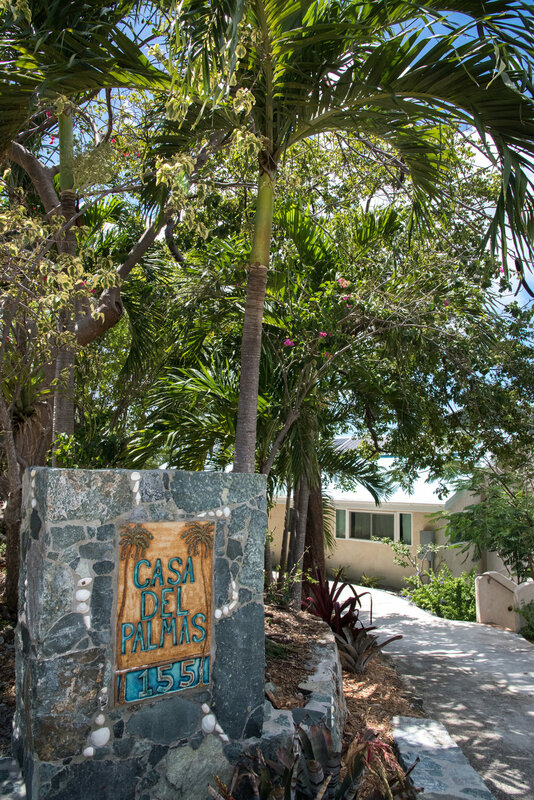 Casa Del Palmas is nestled hillside in a lush and quiet neighborhood only ten minutes from Cruz Bay, providing convenient access to Cruz Bay’s shopping, water sports, groceries and restaurants.